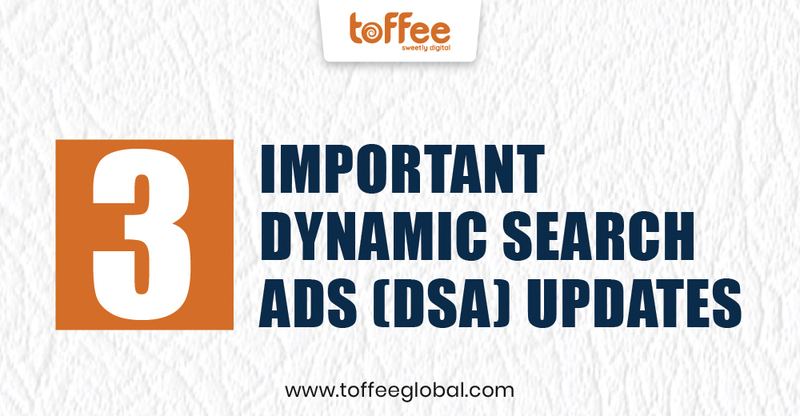 Dynamic search ads (DSAs) are the easiest way to find the customers online that are specifically searching for the products or services that your offer. If you are an advertiser with a large inventory and product list then it is ideal for you. It will fill in the gaps of your SEO based campaigns and make it more efficient in finding the kind of audience that you are looking for. Even if you are a well-managed Google Ads account with well-researched keywords, you can miss out on certain searches or experience delays in getting ads written for new products; Dynamic search ads eliminate these kinds of problems. Google’s dynamic search ads have a lot of inexperienced disdain thrown at them. This can probably be because of the inefficiency of the past that didn’t progress with technology or the unsuccessful attempts because it’s not that easy. Dynamic Search Ads (DSAs) are a lot better than they used to be and it’s getting better with every day. Recently Google rolled out 3 important updates for Dynamic search ads that make them even more awesome and advertiser-friendly. You can now target all landing pages in your account even if they are being used with Non-DSA text ads. If you have a Non-DSA campaigns set up for certain types of products then this will help you capture all types of products on your landing pages, regardless of them being in your keyword list. This makes easier for you to find the top performing pages for your DSA campaigns so you can target them specifically. You can now also add negative targets, such as, if an ad group is sending traffic to a product that is out of stock, you can now exclude that product’s page. This gives you more control over Dynamic search ads. Use dynamic ad target reports to find your top performing pages and then you can use “URL is” to target those pages by adding exact URLs to your dynamic ad targets. With this feature, you can now set up Dynamic Search Ads for your top pages more easily.